Aquascape Resources is a construction company providing various services including residential and industrial renovation, plumbing services, roofing works, welding works, waste water and firefighting services. 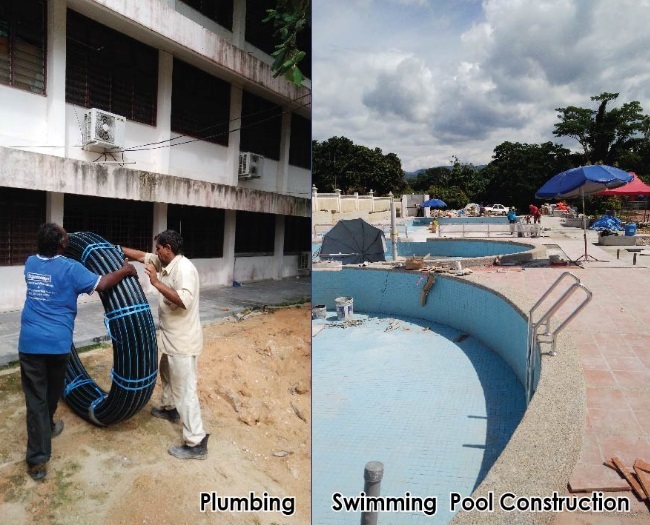 Aquascape Resources has full in house capabilities and we offer our services throughout Malaysia. We believe that our market advantage is the knowledge and experience. The majority of our works is based on consultant or client recommendations. Project costing is a major factor on why we have been chosen many times. Our strategy has been to maintain a lean company and hire the additional personnel on a contractual basis. With good procurement and strong project management skills we are able to handover projects to clients on a timely manner and at a fraction our bulky competitors. We have undertaken numerous projects with varying scope and levels of difficulty. As for clients requesting swimming pools we have various solutions based on their budget. We work in a professional manner and up to date with proper documentation. 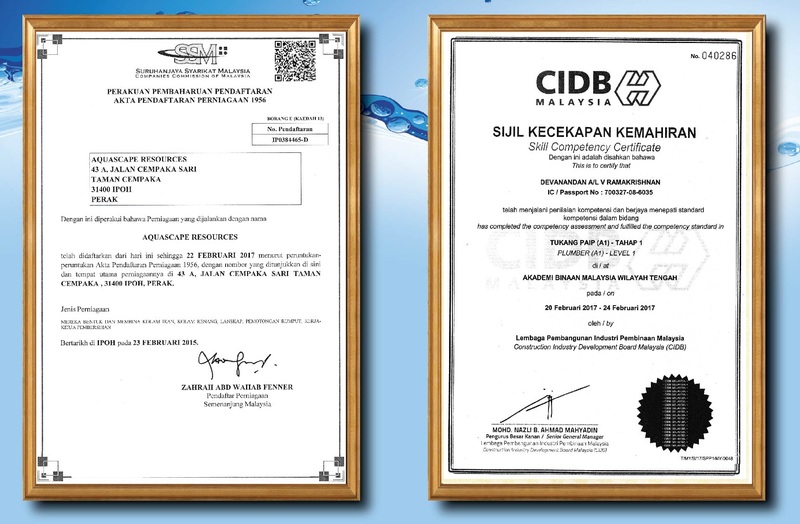 Aquascape Resources is a Perak based company specializing in Water & Liquid pumbing and related Engineering Services. Plumbing Contracts (Residential & Commercial Projects). Water supply Pipe laying & Connection. Industrial Pumps & Related Pipeline Fittings. Fire Fighting Pipeline & Fittings. Minor & Major Residential Plumbing Work. Electrical Wiring & Switch Board. Single & 3 phase wiring for Motors. 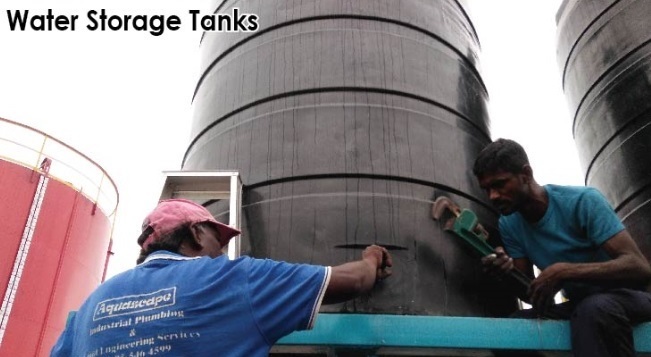 Water Filters, Water Storage Tanks. PVC & Poly pipe related Work.